Shoot Safe Learning Mentor Program is developed to equip individuals with proper safety mentality and methods to be able to impart his or her knowledge of safe, fun and responsible shooting. Must possess sufficient knowledge in responsible and safe gun handling. Re-taking of the exam for non-passing score may be allowed depending on the score. ID Card valid for 13 months. 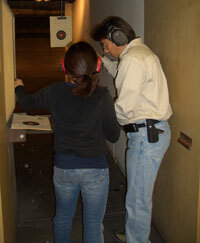 Access to mentor-only items at Shoot Safe Learning Store. Normally takes 10  15 days to process.